Couple and their wedding party stand in front of uniquely Southwestern architectural style church in Montecito, Santa Barbara church wedding ceremony location. 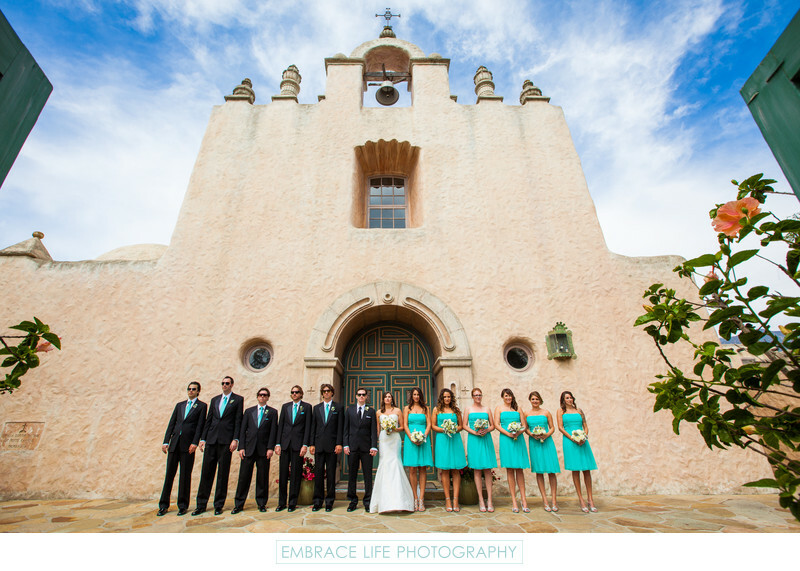 The early 20th century historic site is beautiful mission-style architecture in contrast to the teal contemporary style wedding party. Location: 1300 E Valley Rd, Santa Barbara, CA 93108.